Gamelan Raga Kusuma. Photo by Ron Karnes. 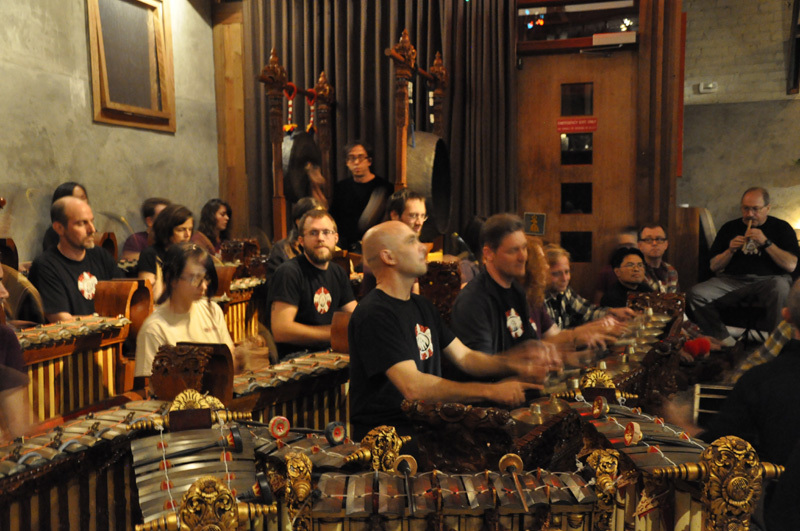 Gamelan orchestras include bronze gongs, chimes, cymbals, metallophones, drums, fiddles and bamboo flutes. Our seven-tone gamelan semara dana was made by Pande Madé Sukerta in 2005 and includes intricately carved teak cases illustrating the Hindu Ramayana epic. Our gamelan gender wayang was made by I Wayan Konolan in 1985. Our gamelan beleganjur was made by I Wayan Beratha in 1998.